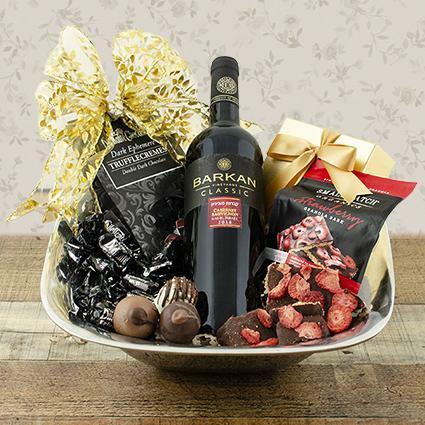 Barkan Cabernet with truffles and strawberry granola bark in a silvery square bowl is elegance personified! Barkan Vineyards Classic Cabernet Sauvignon from the Galilee in Israel is a deep ruby red wine with spicy berry aromas intermingled with oak. Pairs well with grilled meats and sauced chicken.